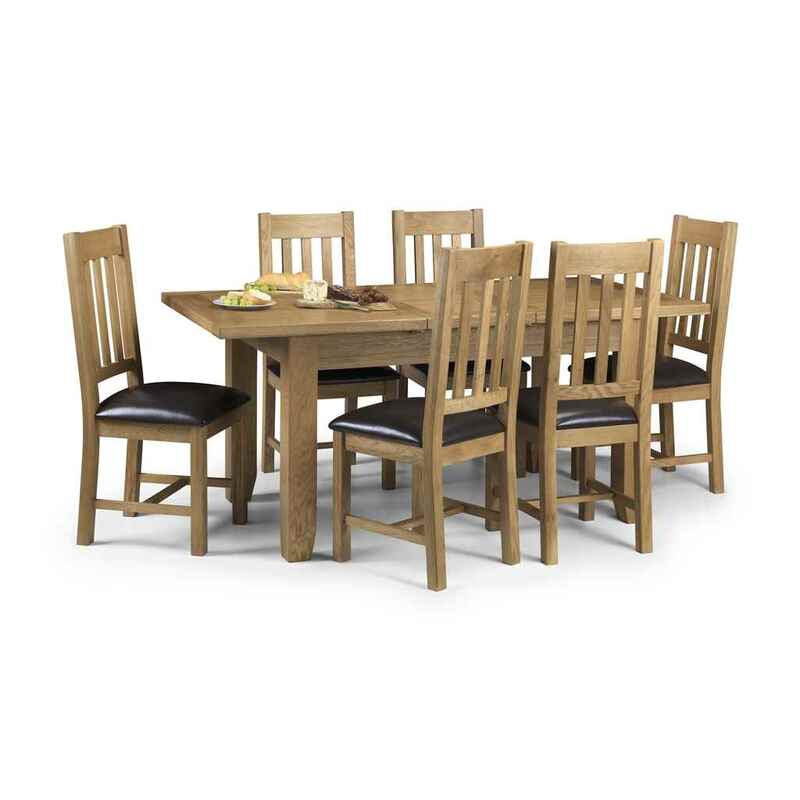 The Heritage Solid Oak Dining Set is a charming and practical feature for any kitchen or dining room. 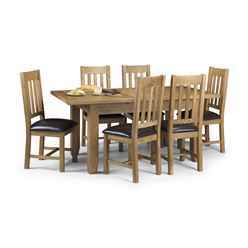 The solid oak used during construction makes the table sturdy, durable and reliable. 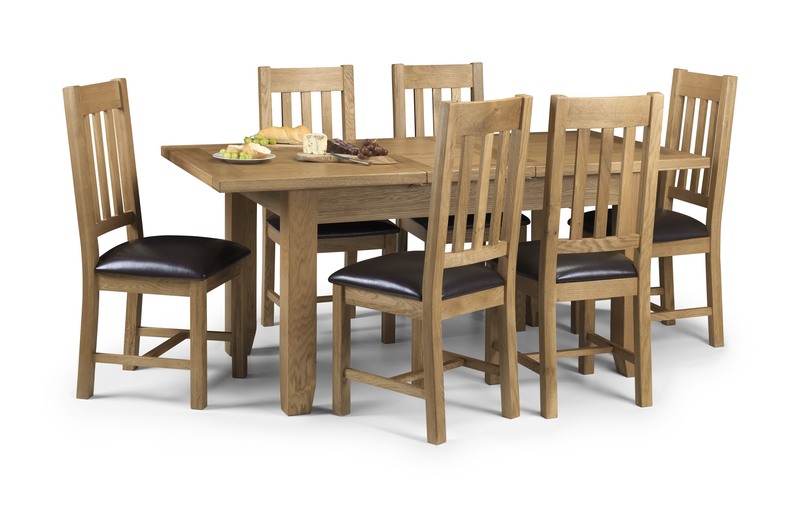 The Heritage Solid Oak Dining Set includes 4 Heritage Solid Oak and Black Leather Dining Chairs which are the perfect accessory for our Heritage Solid Oak Extending Dining Table. This product requires assembly.